Have you noticed that in Indian film, an overnight success is rare, but an overnight failure is even rarer? It takes the slow accumulation of flop after flop after flop before there are any repercussions. But, finally, Farhan and Katrina are feeling the burn! Sure, that’s what Shahrukh and Aamir and Salman are all doing with a lot of their self-produced films (I love Ra.One, but I’m not blind to the midlife crisis of it all). But that came after years and years of boring repetitive roles that helped build up their fan following and industry cred, so that now we the audience are willing to follow them into whatever fantasy they want to try next. But Farhan just skipped straight to the “I’m only going to be in movies where my character is super cool and perfect and awesome!” part of his career. Which isn’t to say that Farhan doesn’t do a good job in his acting roles, and take risks, and is a part of some really really good movies! I just can never quite shake that feeling that he is picking and choosing his parts not because he wants to challenge himself or confront inner demons, or for the health of his career or his production company, but just because he wants to play dress-up. Out of all the somewhat self-indulgent movies Farhan has produced/starred in (Karthik Calling Karthik=Deepika Padukone falls in love with him because he was always a cool dude inside; Dil Dhadakna Do=Farhan is the only person who knows how to be really happy with his life; Bhaag Milkha Bhaag=Farhan gets crazy ripped and 3 separate beautiful women fall in love with him, etc. etc. etc. ), I think Rock On might be the most self-indulgent. His character is the genius guy, the lead singer/writer of the band, who then goes on to be incredibly successful in an unrelated field, and also have a beautiful young wife in love with him. And, of course, in real life Farhan also has his “band”. Only it’s much less successful than his made-up band for this movie, because this is real life, not an indulgent midlife crisis fantasy. Anyway, finally, after years and years of this, it is catching up to Farhan!!! He had already announced a massive US tour to promote Rock On 2, featuring the actors from the film playing in the band from the film. Which isn’t a terrible promotional idea, but it’s also not the most cost-effect plan. I mean, the SLAM tour was brilliant not just because it was publicity for Happy New Year, but because it was a tour that would make a solid profit even without the movie tie in, Shahrukh and Abhishek and Deepika, plus throwing in Malaika just for kicks, that’s plenty to sell-out a stadium. But who’s going to go see a live rock show featuring musicians from a fictional product? Unless they are The Monkees? Someone must have whacked him upside the head and pointed this out to Farhan, and also pointed out the vast lack of excitement among the public over watching a bunch of actors who were old the first time they played these roles and now are even older, pretend to be young rock stars. So now the tour is cancelled! And instead, maybe, they will be traveling around India playing college shows. To try to build excitement among the youth for this movie that is a sequel to another movie that they are too young to remember and don’t really care about. I hope Rock On 2 never really figures out its promotions and slowly lurches towards a lackluster release, and this all forces Farhan to finally stop playing around and MAKE DON 3!!!!! On the other hand, Katrina Kaif! Who is launching her own cosmetics line? Did not know that! Smart career move, cash in on her fame while she has it and build up something that will keep bringing in profits in future. But that’s not what the news today is about. The news today is about L’Oreal dropping her. Officially, L’Oreal says it is because she is launching a competing cosmetics line. Unofficially, it’s because her box office has dropped way way off. Isn’t that interesting! My impression is, box office is where you start, you need a project to talk about and be talked about. And then that leads to brand endorsements, which keep you in the public eye between films and are a little less unpredictable. And then you have your personal appearances, which are just huge cash cows and come after the other two have proved that you are really a “celebrity”. So now Katrina’s box office has finally reached a point of consistent failure that is touching her brand endorsements. That is remarkable. As remarkable as Farhan’s failures being so bad, he can’t promote his new movie the way he wants. It takes a looooooong looooooong time, but eventually, your failures can catch up to you. Of course, it’s also super easy to recover. If Rock On 2 does all right, against all odds, than Farhan will be right back on top, able to do whatever he wants. If Jagga Jasoos comes out and is a hit, than L’Oreal will be begging Katrina to come back. It’s really hard to get that first chance in the industry, but once you do, there are lots and lots of second chances available. This entry was posted in Uncategorized and tagged Farhan Akhtar, Filmi News You Can Use, Katrina Kaif, L'Oreal, Rock On 2, The Monkees by mredlich21. Bookmark the permalink. Jagga Jasoos, if it in fact ever releases, could be a hit if the film is good (i.e. depending on whether its more “Barfi!” or “Kites”) – but surely Tiger Zinda Hai is a guaranteed blockbuster?? Sequel to Ek Tha Tiger, with Salman as co-star and directed by Ali Abbas Zafar? Aish was away from films and certainly didn’t have big hits for longer than Katrina’s poor run (and “Kala Chasma” was a big hit song at least). I would imagine it was more an issue around the fee than her films recent box office takings. That same article mentions that it was an issue with her fees, and that she wasn’t lowering them. So I guess that is kind of secondary to the box office failure? Because of her lower profile from the flop movies, she should be lowering her fees, and isn’t. Not sure they will be able to say she’s “box office poison” is she’s just been in a blockbuster. If she had a reputation for being in hits before (which she did at one point – perhaps a run during 2011-2013), these unfortunately weren’t heroine-oriented films but rather alongside the male superstars in Salman, Shahrukh, Hrithik, Aamir etc. and in her earlier career mostly alongside Akshay and Salman. She was known for adding the glamour quotient, being the love interest and for Chikni Chameli, Sheila Ki Jawani, Kamli etc. So I think its more likely to go the other way if the same rules apply. If the big films generating box office success are what gets people talking about you – well I’d counter that gossip is mostly what the media coverage is of, actually, so even worse than it being based on box office success – it could be that without Kapoor or Khan relationship/speculation around engagements/weddings/breakups for the media to gossip about – she’s just generally not as high profile as Kangana, Deepika and Anushka. Not seen this before – TOI is fascinating I agree. Poor Anushka – she’s top but also the only one whose relationship is mentioned. Maybe Katrina needs to move on with a charming cricketer. I was at our favorite video store on Devon Ave. in Chicago and they tried to sell me a ticket the last time Farhan Akhtar was in town for a concert. I told them I didn’t want to see him being a rockstar, I just wanted him to start Don 3 already!! I totally agree with you about how self indulgent he is being. Who in the hell was clamoring for Rock On 2? Karthik Calling Karthik I hated, but his absolute worst was Shaadi Ke Side Effects. Oh, man, was that a stinker. I didn’t mind his feminist I-am-perfect-and-I’ll-wait-for-you-forever-even-though-you-married-another-man bit in Dil Dhadakne Do. His sister wrote and directed, after all. But for the love of God, Farhan, you are the BEST at directing of all your talents. Get to work on Don 3!! Or if not Don 3, SOMETHING! His scripts are so brilliant, and his directing is so brilliant, and I hate to see him waste his time playing around with other people’s work. I guess, I just love Farhan’s acting (and singing) too much to think about him skipping his possible directorial projects. However, yes, I also would like to see him as a director anytime. 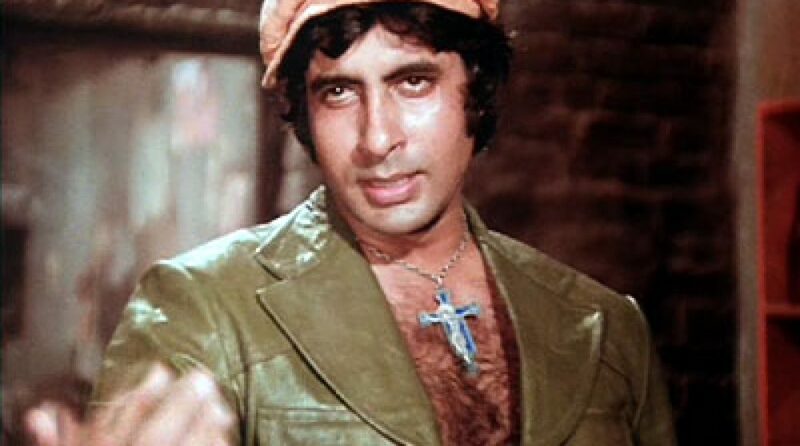 I did really like his Yaari song from Wazir, but that was mostly because I liked listening to Amitabh sing. I have an alternate theory about Farhan.Here’s an imaginary conversation between Zoya and him. Farhan: So-and-so is such a poor actor.He can’t act for nuts.Even I can do a better job than him. Zoya: Put your money where your mouth is.Why don’t you fire So-and-so and take his role? Farhan:That’s a great idea, sis.But why don’t I start with your movie? Zoya:Great.Now I won’t need to pay the lead actor.Let me splurge that extra money on a colorful song instead. I can totally see it! Except, that doesn’t explain why he keeps acting even movies that his sister isn’t directing. In Bollywood connections always trump talent and good looks.And nobody can deny that Farhan is connected to all the right people.Here’s wishing that he’d get over his mid-life crisis and get back to Don 3.Shahrukh isn’t getting any younger. I just had a sudden vision of Don 3 happening 20 years from now, with Don as a decrepit old man living out his days with memories of his youth, suddenly called back into action. That would be a kind of awesome movie!